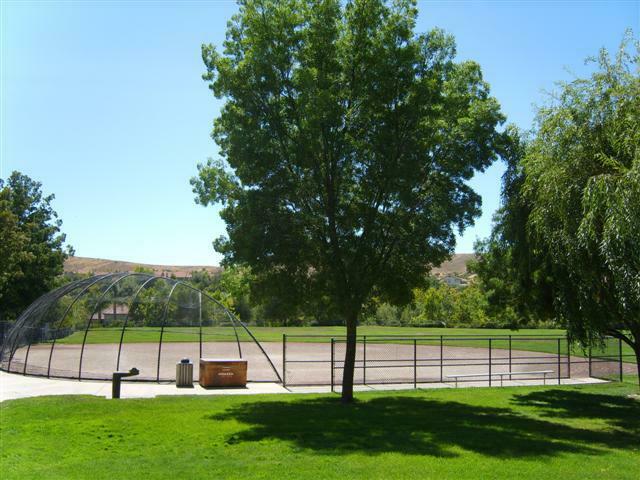 The city of San Ramon's Public Services parks maintenance crew maintains 25 soccer fields and 24 baseball diamonds throughout the city. Maintenance includes: laying out fields per league specifications, maintenance of fences and backstops, maintenance and repair of lighting and PA systems, maintenance of bleachers and scoreboards, mowing and fertilization of turf areas, field renovation, maintenance of irrigation systems and controllers, and weed and pest abatement. The crew works with user groups and the Parks & Community Services Department staff to ensure that the fields are ready and open for use throughout the year. In order to provide better service to its residents, the city of San Ramon's field condition hotline was replaced by a new subscriber service. Depending on your preferences, subscribers can now get instant updates via email and wireless device. Canyon Creek Little League members are strongly encouraged to take advantage of this free service. CLICK HERE to be redirected to the city's subscriber portal. Provide the email address you would like to be notified at. Under "Living in San Ramon", check the "Sports Field Conditions" box. Once your finished all you have to do is click the save button at the bottom of the screen. Depending on your preferences, you will receive daily alerts on the status of fields throughout the city. These alerts are provided seven days a week on a regular schedule. Updates are usually sent Monday through Friday by 2:00pm and Saturday and Sunday by 7:30am. As weather conditions change, additional updates closing or opening fields may be sent on weekends. The Public Services department does an outstanding job maintaining fields and facilities year round. Within the Tri-Valley area, San Ramon's sports fields consistently rank among the best. Although fields are regularly scheduled for maintenance, there are occasions when specific maintenance issues may be identified by individual users. In order to better serve the community, the city provides a maintenance portal allowing residents to report issues directly. Once submitted, Public Services will assign resources to resolve the problem. CLICK HERE to be redirected to the city's maintenance request portal. Using the drop down box, select your request type. Under "Topic:". select "Park Maintenance" within the Parks and City Facilities section. Using the drop down box, select the park name. Type in your maintenance request or question. When providing a description, please ensure to include specific details of the problem. In addition to providing regularly scheduled maintenance and maintenance requests, the Public Services department also provides an after hours, on-call emergency staff twenty four hours a day seven days a week. After hours is defined as weekdays after 5:00pm, weekends and holidays. To report an emergency problem after hours, residents should call the San Ramon Police Dispatch at (925) 973-2779. Police Dispatch will then contact on-call staff. When reporting, be prepared to provide the location and nature of the emergency maintenance problem. The city of San Ramon's Public Services department publishes a newsletter, "The Sporting Green", twice per year to inform sports leagues on the maintenance and use of fields within the city. The newsletter includes information on field renovations as well as grooming schedules for all fields.